Our mission is to equip PreK-12 schools with standards-based resources and professional development to teach economics and personal finance using practical, innovative and inspirational methods. Economically savvy students become more responsible and productive citizens, voters, consumers, producers and employees--building a better Arkansas for us all. The following comments show us that we're on the right track. Thank you. I just sat down with [Minnesota Master Economics Teacher] Nancy to hear about her experience at your [REAL] conference and the pre-conference workshop. She was thrilled to attend and said that everything was fantastic. She was absolutely taken away by the conference -- the content, the organization, the people. Thank you so much for hosting her visit and your generous hospitality. I took a look at your conference program and I am floored by the sessions that you offered. Nancy also shared some about your Master Teacher program and she was impressed with the number of master teachers you have. We have a lot to learn from you! Thank you so much for presenting my plaque to me!! It truly is amazing to be a part of such an amazing group of educators. You have helped me so much become a better teacher and learn economics!! I had no intention of majoring in anything having to do with business. After the playing the Stock Market Game, I now want to major in finance and be a portfolio manager for a living. I really loved the nature and research of the market and thought that this game was a worthwhile endeavor. I would be willing to coach a team at the middle or elementary level to get more kids involved. 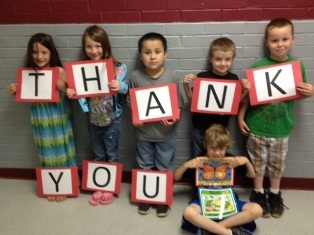 Thank you for your continued support of teachers throughout Arkansas. This grant will really bring trade routes to life for my students. You help me be a better teacher. Thanks. Economics Arkansas provides everything a teacher needs to teach the high school Economics course in Arkansas. The materials they provide are second to none and address each Economics standard in multiple ways. They are always available to answer questions as they arise and provide full support for a teacher throughout the year. 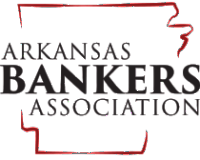 Using Economics Arkansas’s materials with the Federal Reserve Bank’s Econ Low Down courses provide all materials needed to create a blended learning course. The Econ Low Down materials are both student and teacher friendly and provide varied assessments for each course. Marsha [Masters] did an outstanding job presenting to the Arkansas College Teachers of Economics and Business (ACTEB) last Friday. I know you already know how good she is. She’s very professional and her content and delivery are top notch. Thank you! Email Economics Arkansas! They have EVERYTHING you could ever imagine!!! Also, check out their website! The Teacher Corner has so much posted for us to use!! And if you need more, register for a workshop!! They are always hands-on and SO MUCH FUN!! Plus you always bring home free resources!! I am a HUGE fan of EconAR (if you can’t tell!) and they have changed the way I teach! My kids comment constantly about how much they love that I teach with activities and not constant lecture! I LOVE THAT! I want to thank you for all your efforts in making the 2014 REAL Conference a success. As usual, it sure seemed to go off without a hitch. More important, I want to tell you how fortunate I feel to be part of such a professional organization. I realize it is because of all of you, and the high standards you set for yourselves. So…THANK YOU! I was chosen as one of only eight teachers nationwide to be featured in the A&E/History Channel's "Idea Book for Educators," which was mailed to educators across the country this week! I was selected for an Economics unit I did this past spring, and I wanted to share this news with all of you there at Economics Arkansas, because my participation with Economics Arkansas has completely impacted the way I teach Economics. I really do appreciate all of you down there in Little Rock, because I really don't think I would be able to come up with all these neat Economics ideas if I wasn't working with Economics Arkansas throughout the year. . . Thanks. [The 2013 REAL Conference] was an absolutely brilliant Economics Conference! Every session I attended was informative and engaging. The presenters were dynamic. I truly enjoyed every minute. I have so many ideas, lessons, and resources to take back to my classroom and use. [The EA Coordinators Meeting] yesterday was wonderful. I needed that boost at the end of the year, and it was so helpful and put wind in my sail to finish the year and get excited for next year. I sure appreciate all of your help, support and friendships. Congrats on your honor and new offices. Good to see you all. Look forward to seeing you again soon. I received your e-mail concerning the honor received by you and your staff as the Non-Profit Organization of the Year by Arkansas Business. As I watched the video I was brought to tears by your sincere words as you received the award. You said all the right things and Bessie would have been so proud!!!!! Now you and your team are leading the organization to the heights we all dreamed could happen someday. When Bessie hired me in 1978, I was only beginning to understand her mighty goals for the organization. You’ve heard, “I have a dream.” Bessie had a dream.....you’ve made it come true!!! Thank you from the bottom of my heart!!!! I had the privilege of attending the two day summer conference in 2012 and would like to share that – being an “experienced” (old) teacher, I have sat through many hours of in-service! This conference was the best I have ever attended in my 40 years of being a teacher! Not only were the break-out sessions really good and so informative, but the organization of the conference was excellent! The selection of “free” curriculum was wonderful! I appreciate all the hard work (and long hours) that went into this wonderful experience! And, to top it off, the conference was “fun”! I can honestly say that what I learned in the economics workshops provided by Economics Arkansas was the most useful of any of the hundreds of hours of professional development. I used the techniques to teach other areas of social studies. The activities were engaging and fun! Before there were the "frameworks" I would save economics until May when all of us were tired and we would so enjoy it and my students learned a great deal! We finished the year on a high note those years. Thanks for all you have done for me and teachers across the state of Arkansas.